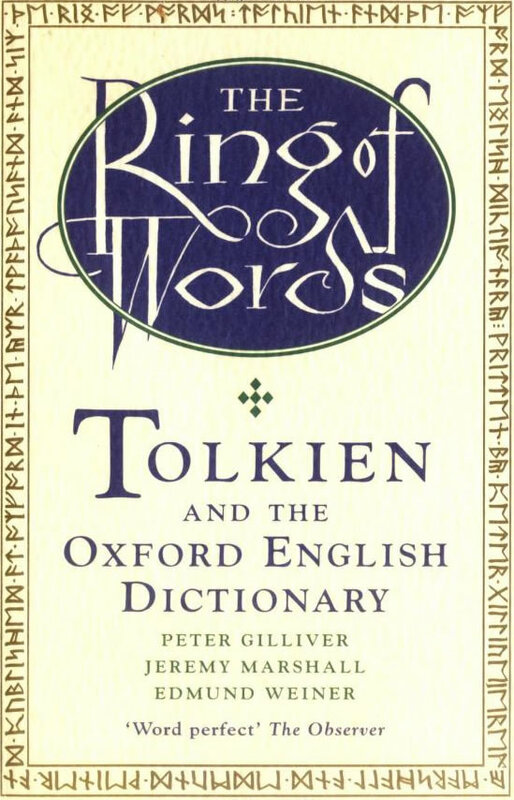 "The uniqueness of Tolkien's involvement, as an imaginative writer, with the English language lies in his capacity to work from within the actual or potential development of any given word. In this intimate and active involvement with the histories of words, we can imagine Tolkien, perhaps, as an Ent in the forest of language, waking up old words that had fallen asleep — or, in the case of words taken from Old Norse, encouraging transplants to put down roots in new soil." "I learned more in those two years than in any equal period of my life." The last part is not just a word-list, but rather short studies and histories of some of the terms, a paragraph up to several pages for each. Carrock, Beorn's place, the fabulous giant ents; mathom, early adopted by fans; weapontake, the taking up of laid-aside arms; and so on. There are sometimes archaic terms like nuncheon and sometimes words developed by Tolkien himself such as eucatastrophe and legendarium, which have now entered the English language. Here are examined wraith, confusticate, eleventy-one, and orc. "Hobbit" is here, of course, a word that everyone associates with Tolkien but one which he modestly said he was not sure he had invented, although he could not otherwise account for it. Indeed, in 1977, an obscure list of fantastical creatures published by a folklorist in 1895 included "hobbit" (as well as beings called "boggleboes".) Some of Tolkien's words will never wander outside of literary fantasy, but even these, the authors show, are being widely used in new fantasy novels and by role-playing gamers. Some will justly be getting wider circulation. One I liked is "staggerment": "To say that Bilbo's breath was taken away is no description at all. There are no words left to express his staggerment."